Myntra Jabong India Pvt. Ltd, the business-to-business fashion retail arm of Flipkart-owned online fashion retailer Myntra, has secured a loan of Rs 199 crore ($31.1 million) from Yes Bank. The company secured the loan in July through a hypothecation agreement, or by pledging its assets as collateral, according to filings with the Ministry of Corporate Affairs. Yes Bank will have exclusive charge of the company’s raw material stocks, semi-finished and finished goods, consumable stores and receivables. The amount is part of a total credit facility of Rs 300 crore extended to Myntra group entities by Yes Bank, reveal MCA documents. Myntra Jabong India is likely to use the money to meet its working capital requirements. E-mail queries to Myntra seeking more information on the development did not elicit any response. Myntra joins parent Flipkart in taking on bank debt. Earlier this month, VCCircle had reported that Flipkart India Pvt. Ltd, the wholesale cash-and-carry arm of Flipkart, had received a loan of Rs 375 crore from Axis Bank. Myntra Jabong India, which was earlier known as Quickroutes Internet Pvt. Ltd, was created in March 2017 as the B2B fashion e-tailer to e-commerce marketplaces Myntra and Jabong, besides others. Though the move was seen as complementary to its private label push and to take advantage of the 100% foreign direct investment norms in B2B e-commerce, the company is yet to reveal its strategy. Myntra Jabong India and Myntra Designs Pvt. Ltd, which owns the trademark Myntra, and Jade Eservices Pvt. Ltd, which owns Jabong, are subsidiaries of FK-Myntra Holdings. 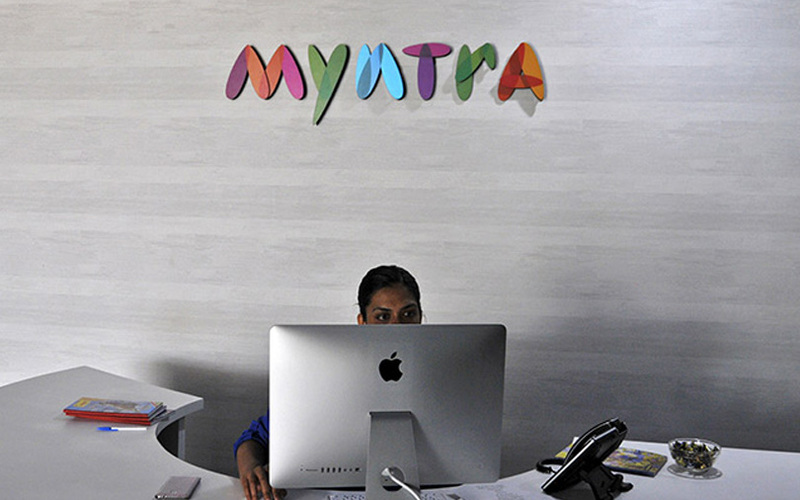 Singapore-based FK-Myntra, in turn, is owned by Flipkart Pvt. Ltd.
Myntra CEO Ananth Narayanan had recently said that private labels are expected to contribute 30% of the company’s revenue by the end of this year. It had also opened an exclusive offline store for Roadster. Roadster had achieved a run rate of Rs 500 crore in 2016 and is expected to touch Rs 1,000 crore by 2018-19. Myntra owns 14 brands, including Roadster, Moda Rapido, DressBerry, Yellow Kite, Kook N Keech and Invictus. Flipkart has also been ramping up its private label play. It had launched its own private label, Divastri, for women and Metronaut for men in June and July, respectively. The fashion category has been crucial for Flipkart to maintain its lead, with Amazon breathing down its neck. After the acquisition of Jabong last year, Flipkart reportedly holds a 70% market share in the online fashion segment.